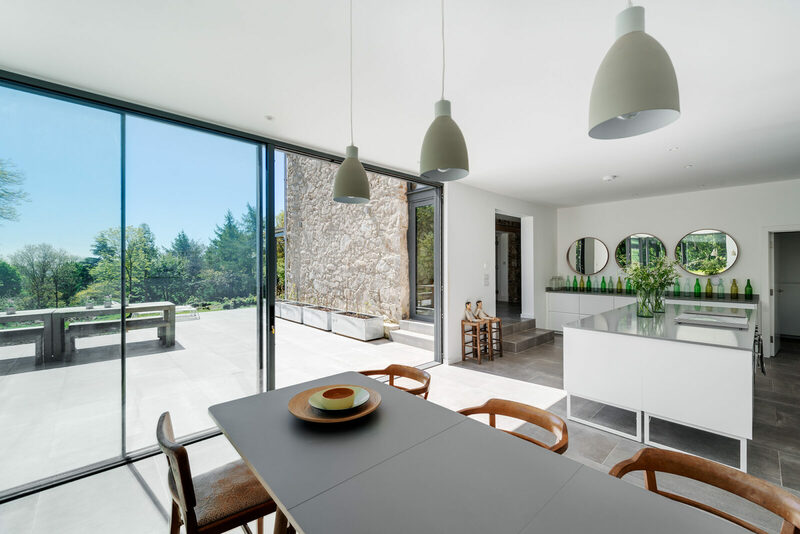 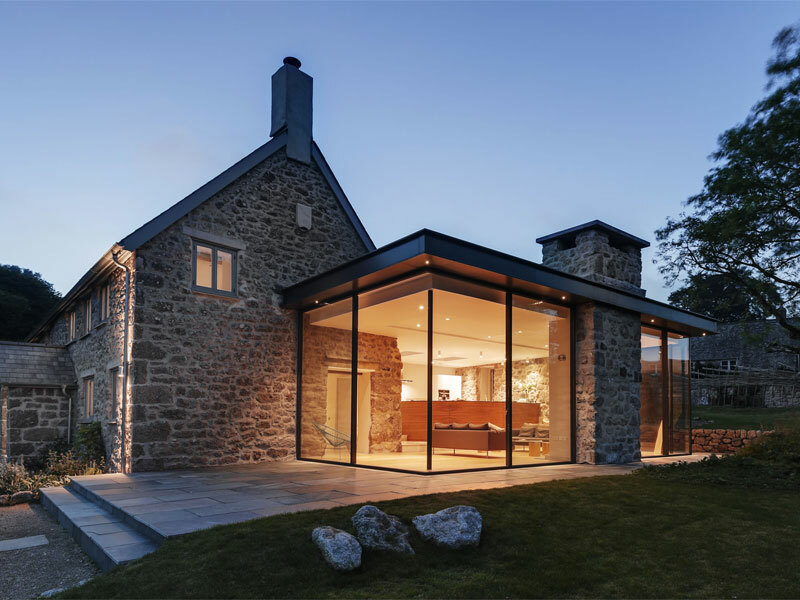 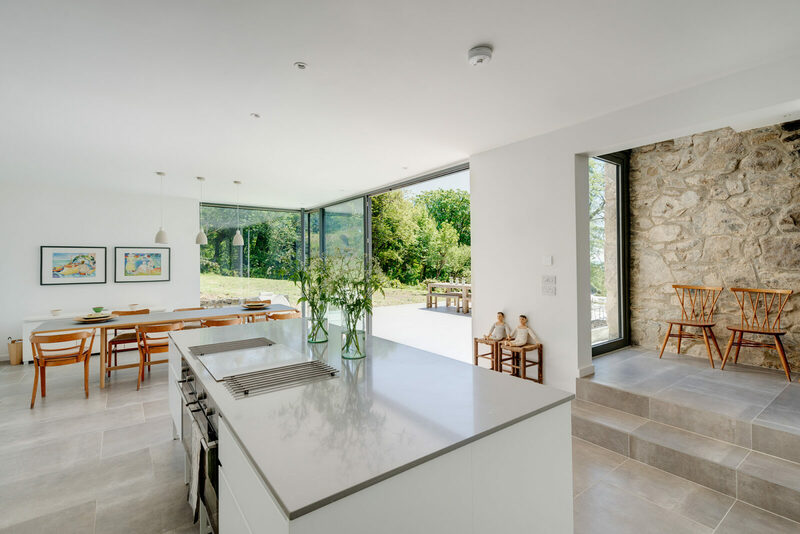 Our clients needed an architect in Dartmoor National Park to provide them with a Full Architectural Service for their Rerburbishment & Extension. 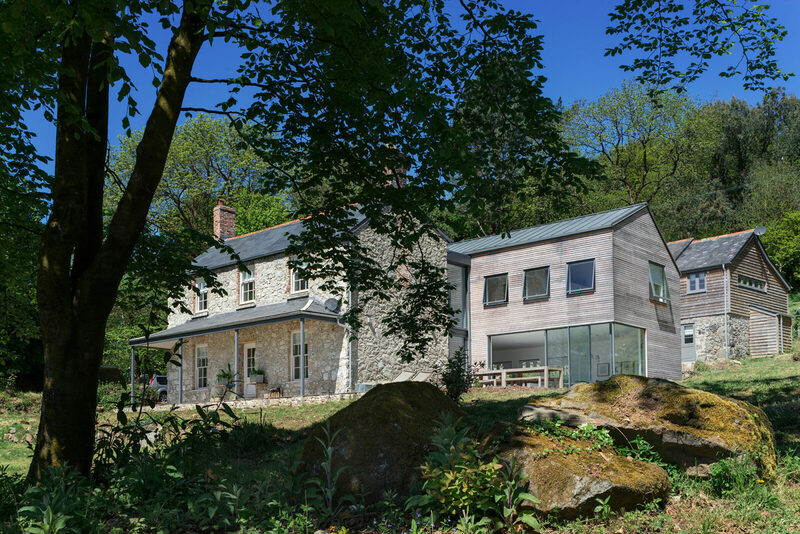 Bottor Cottage is the refurbishment and extension of a Georgian property located in a 4 acre woodland in south Dartmoor. 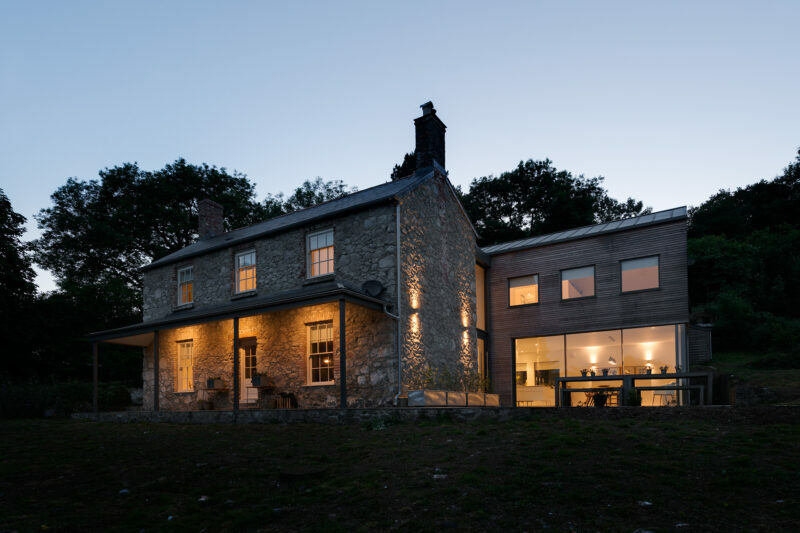 The cottage had previously been unsympathetically extended and had fallen into complete disrepair. 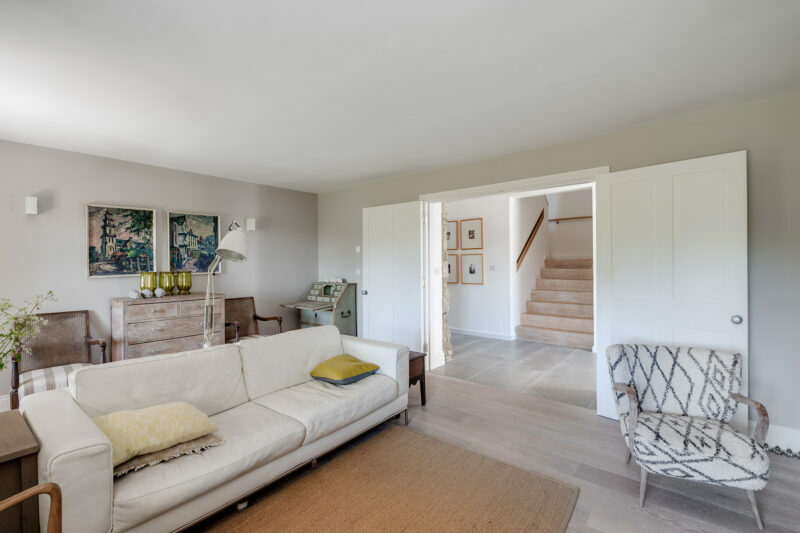 Our clients bought the property at auction and approached van Ellen + Sheryn with a brief to bring the cottage back to life. 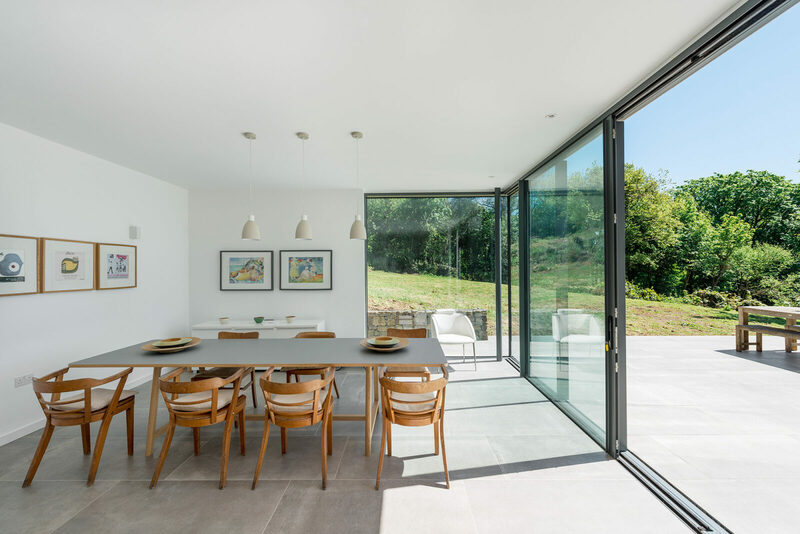 Our first decision was to remove the poorly conceived extensions to the rear and allow the well proportioned house ‘to breathe’. 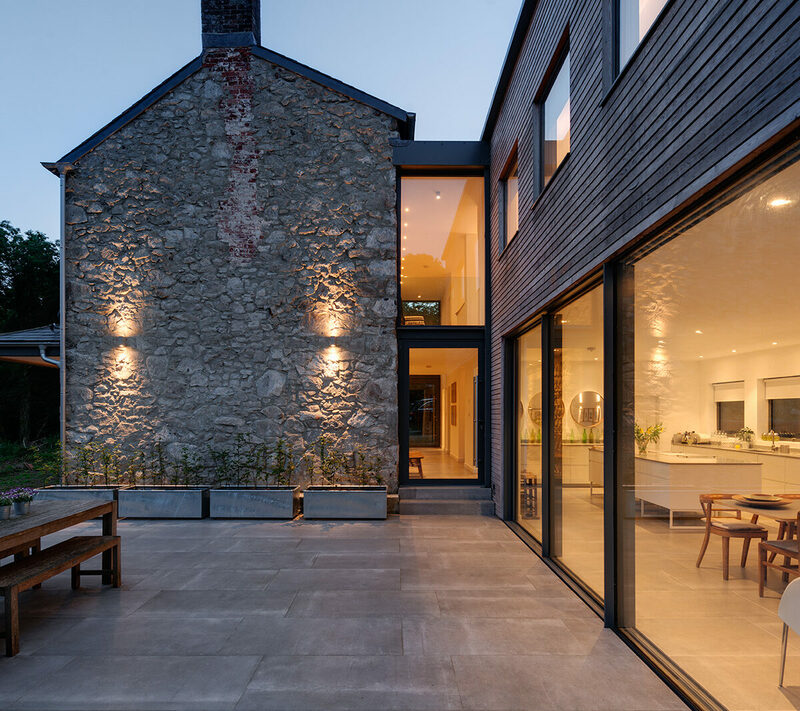 Our second decision was to mimic the proportions of the house with a new contemporary extension, set to the rear of the property and connected with a lightweight glazed link. 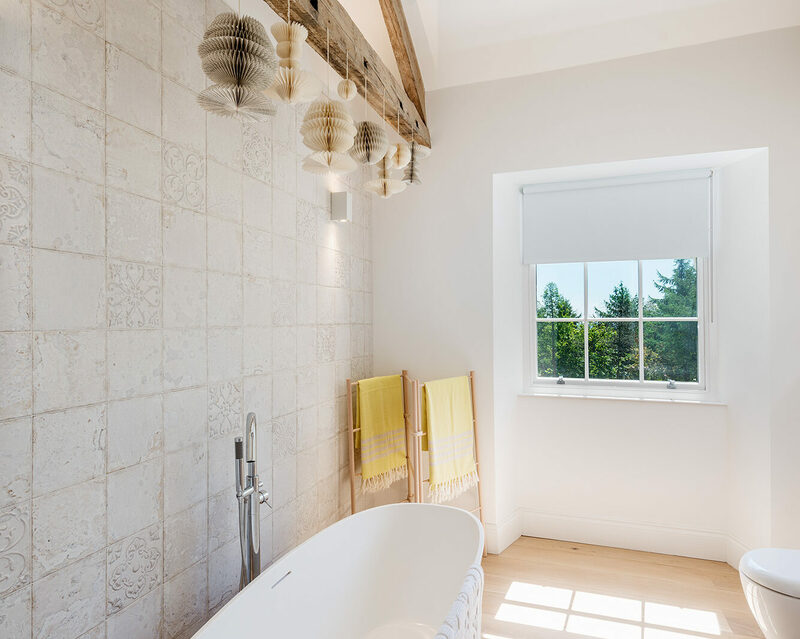 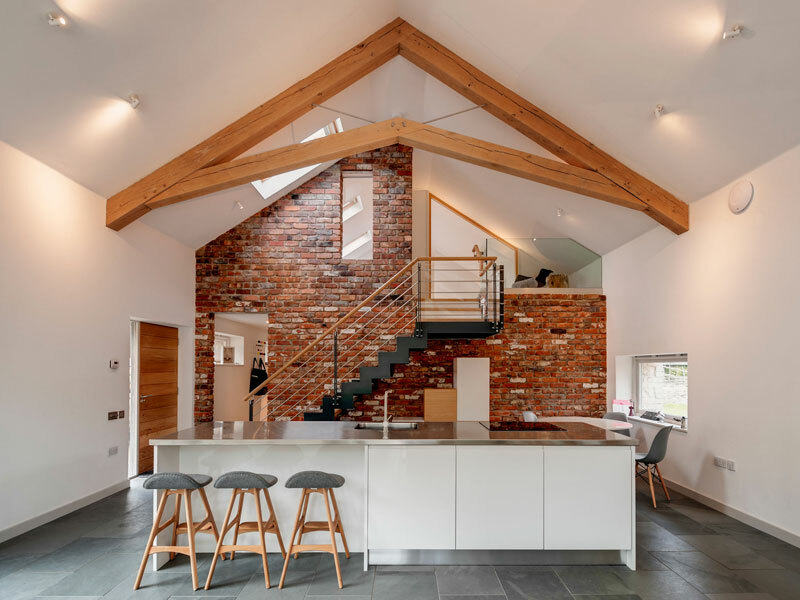 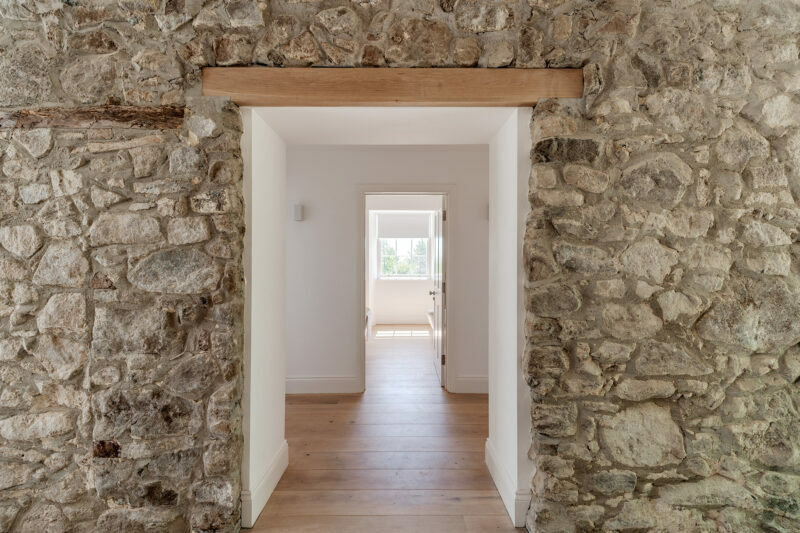 The formal rooms of the cottage were restored and the roof timbers exposed, whilst the new extension provides modern, open plan and highly glazed accommodation. 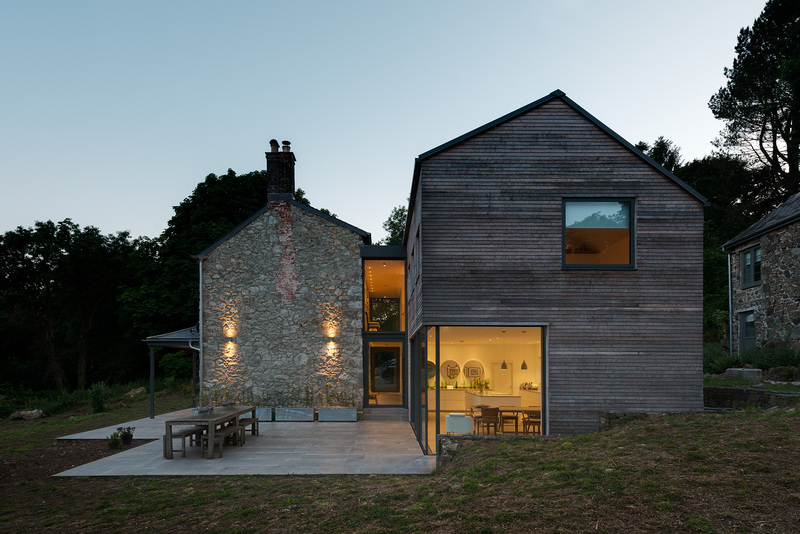 The extension is clad in Siberian larch, has a zinc roof, and utilises high performance glazing. 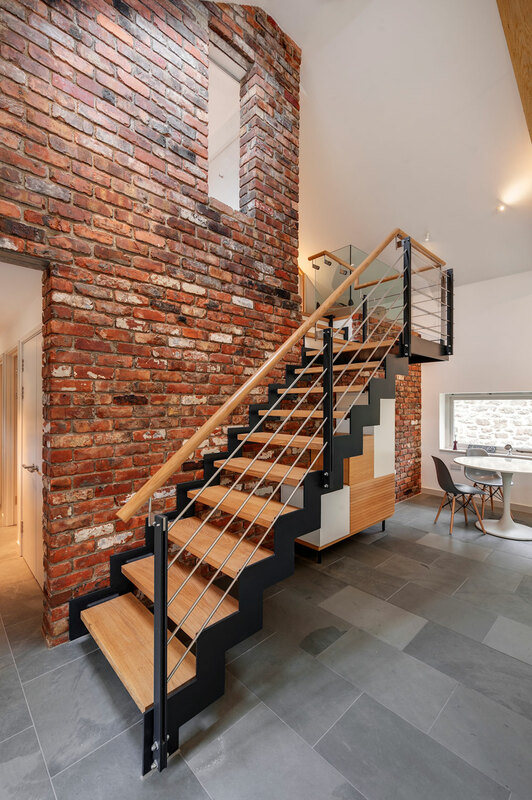 The client’s excellent sense of style has added character and variety to each of the internal spaces. 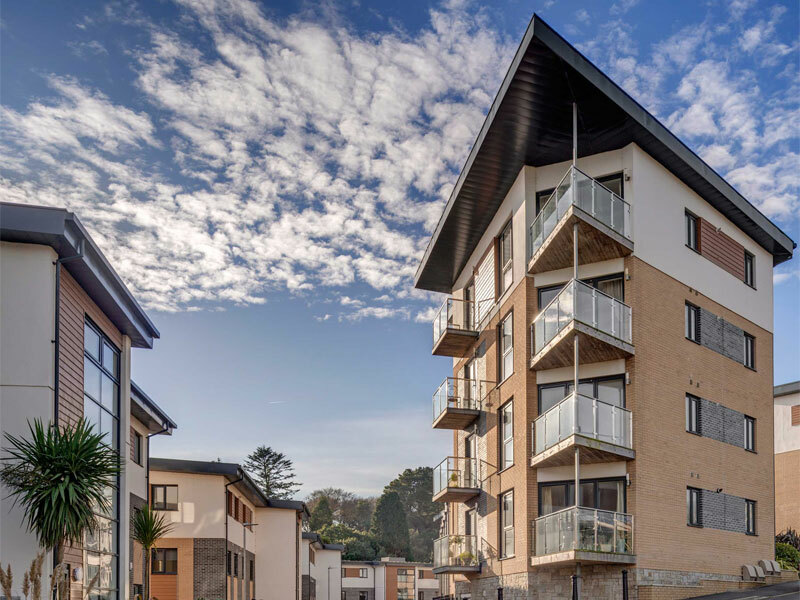 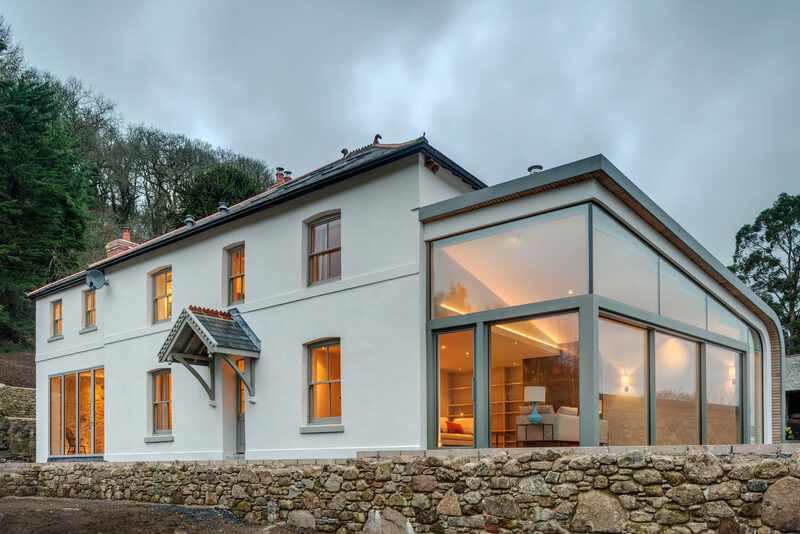 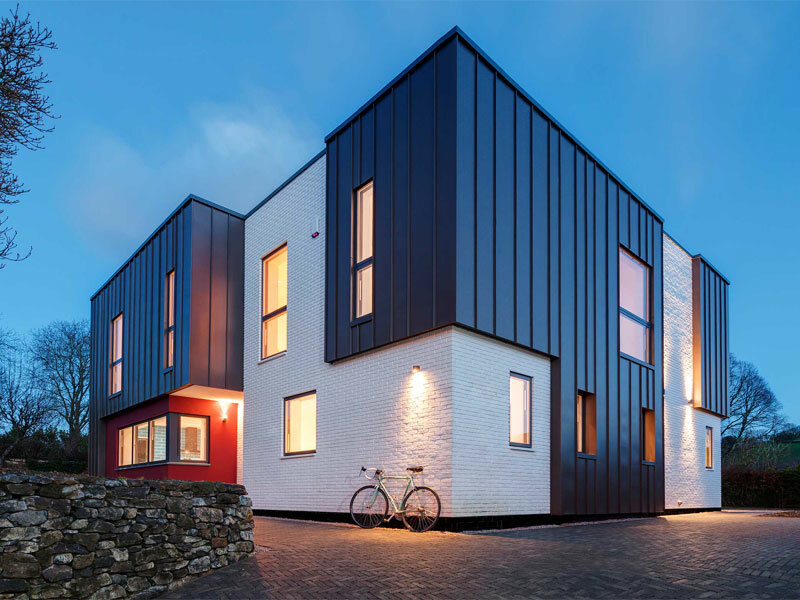 This ambitious, 5 bedroom project received the full support of the Dartmoor National Park and was completed in 2017.